Both British Airways and Virgin Atlantic are currently running competitions to persuade you to convert your Tesco Clubcard vouchers to their air miles schemes. Virgin Flying Club offers you 250 miles for every £1 of Clubcard vouchers you convert. This means that you are ‘buying’ miles for 0.4p each which is good value – you certainly won’t lose money doing this. Each time you convert Clubcard points to Virgin Flying Club before 30th September you will receive one entry in a prize draw. There is one prize of 50,000 Flying Club miles. You get one entry for every points conversion you make during the period. This means that you should, to maximise your chance of winning, convert each Tesco Clubcard voucher separately as long as each is for the minimum conversion amount of £2.50. There is also a bonus of 1,000 Virgin miles for anyone who sets their Tesco Clubcard account to auto-convert future vouchers directly into Flying Club. I do not recommend this, because it makes more sense to keep control over your vouchers and only redeem them when you need to book a flight. This means that you won’t miss a future conversion bonus or a good deal from another Clubcard partner. However …. you can turn on auto-convert and then, as long as the 1,000 miles arrive in time, turn it off before the next Clubcard mailing. There is also no risk in turning it on if you don’t expect to have a lot of Clubcard points this quarter. You can find out more on the Clubcard page of the Virgin Atlantic website here. 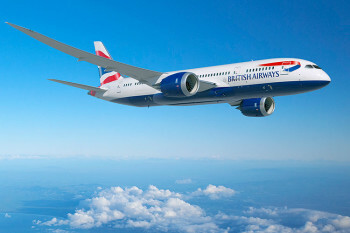 And the British Airways offer …. British Airways Executive Club is running a similar competition. Clubcard conversions to BA go through at a lower rate than Virgin, at 240 Avios points per £1 of vouchers. As per this page of ba.com, you can win a trip to Rome. The winner receives business (Club Europe) return flights and 3 nights’ 5-star accommodation for two. You can take your prize any time between 1 October 2018 and 14 December 2018, subject to availability. You receive one entry for every 500 Clubcard points (£5 of vouchers) you convert to BAEC Avios points before 24th August. If your Tesco account is set to auto-convert, you won’t miss out. In fact, you will automatically receive two entries for every 500 Clubcard points which are auto-converted. The tesco.com page to convert your Clubcard vouchers to BA is here. But are airline miles the best deal? To be honest, I am currently converting my Clubcard vouchers to Uber credit. The reason is simple. It is a ‘genuine’ ‘3 times’ redemption as it is very rare that you can get a discount on Uber via any other route. This means that every £1 of Clubcard vouchers I earn gets me either £3 of Uber credit (a genuine £3 saving on what I would spend anyway) or 240 Avios. That means that I would effectively be ‘buying’ Avios at 1.25p if I took that instead of Uber credit, and I don’t value them at 1.25p. I generally get that when I spend them, but I want to collect them for a lot less – somewhere nearer 0.75p if I can. As always with Clubcard, you need to do the maths to ensure you are getting a good deal. One thing to remember if you’re taking the BA conversion route hoping to win the holiday: are you available in that date range to go?! As this isn’t Head for Points, I think it’s maybe wise to point out that you need a significantly higher number of Virgin miles than avois to make converting wise. 2,000 avios can get you a decent avios plus cash short haul whereas you’d need at least 20,000 virgin miles for a return economy flight with taxes that aren’t that far off a sale cash ticket. 240 avios for £1 worth of Clubcard points equates to less than 0.42p per avios; not 1.25p as per your email. Ian, the point is that you can get £3 worth of Uber credit for that £1 of Clubcard points. If you have some Tesco clubcard credit for sale, I’ll buy off you at par – i.e. £10 cash for £10 voucher. Let me know. I have a £5 voucher. If I convert 2.50 for 625 virgin miles, how long before the 2.50 “change” gets back to me? Does it happen straight away, or not until the next voucher conversion run? Normally just before the next voucher conversion run. I do wonder what will happen when Uber loses their licence to operate in London. Will they refund cash, refund as clubard points, or say you have to use the credit in Manchester (until they lose their licence there). Having been scammed by Uber for cleaning costs when the car never even turned up, and done some research as a result of that, I would never touch uber again. Admittedly this was in Florida, but it turns me off all Uber unfortunately.